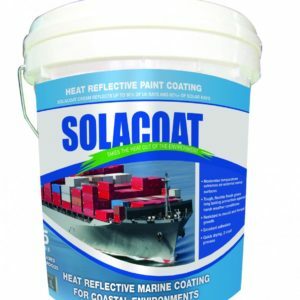 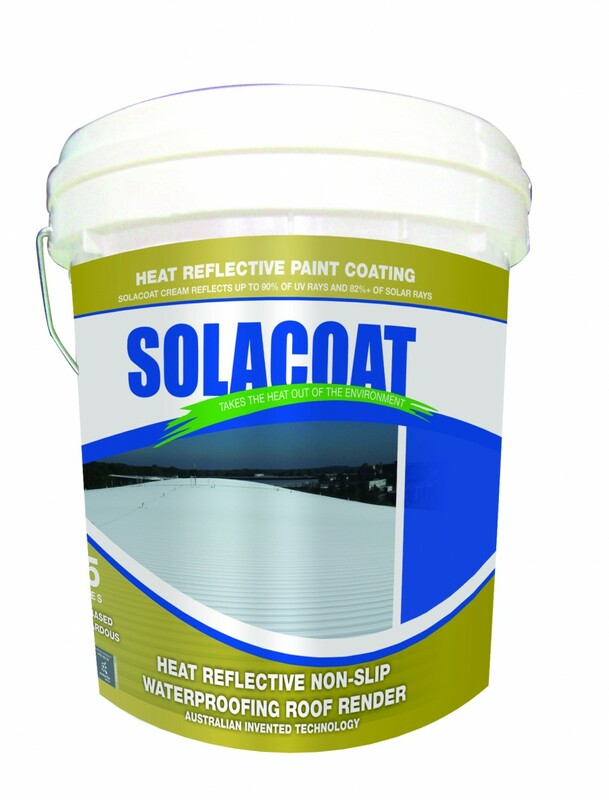 Solacoat Heat Reflective Waterproof Roof Membrane is a flexible acrylic long life, medium gloss, elastomeric, high – build membrane-type coating suitable for masonry walls and roofs, providing excellent water, CO2 impermeability and very high solar reflectivity. 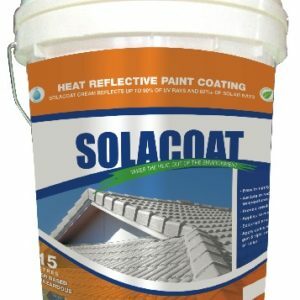 The high solar reflectivity together with the advanced formulation, permits sharing of the heating/cooling burden that leads to reduced temperatures in roof cavities and hence reduced heat loadings on building interiors. 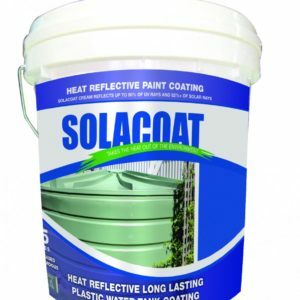 Solacoat Heat Reflective Waterproof Roof Membrane contains no heavy metals or other toxic ingredients and so is suitable for use where collection of water for drinking or tank storage is contemplated. 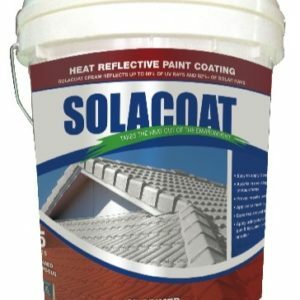 Refer the document Painting of Roofs Involving Tank Water.